What's better than automating the accept and E-signature process with your clients? Getting their payment too! Note: The Stripe integration is only available on our paid plans. Integration settings are only available to account admins. With our Stripe integration you can get paid quickly and easily from within your Qwilr Page. 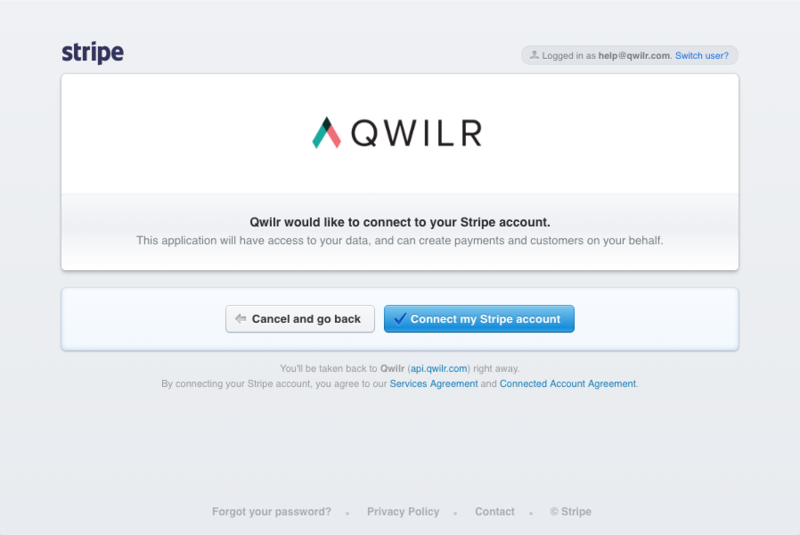 Step 1: Head to Settings → Integrations in your Qwilr account, and select Stripe. Step 3: Follow the prompts from Slack on the window that pops up (if you don't see one, check whether your browser is blocking the pop-up and allow pop-ups from qwilr.com). Once authorized, you're all set up to go with Stripe. Step 1: Click on the credit card icon in the top left corner of an Accept Block. 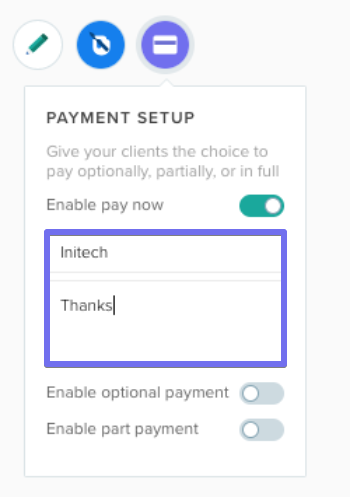 Step 2: Toggle the switch to Enable pay now. You can also set what your business name will be on your clients' credit card statement with the Business name field and include any notes you wish to show at the credit card form in the Optional extra notes field. There are two options available from the credit card menu for more control over the payment requirements. 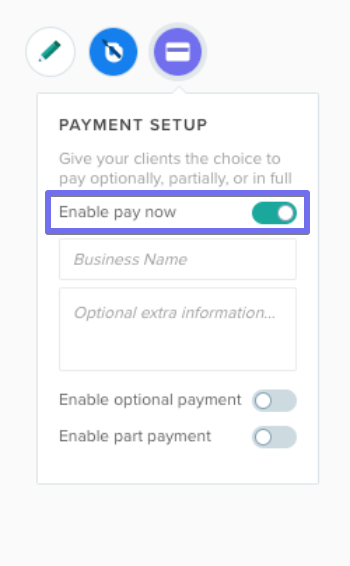 Enable optional payment: By default, the Stripe integration requires full payment to be made at the time the Qwilr Page is accepted. 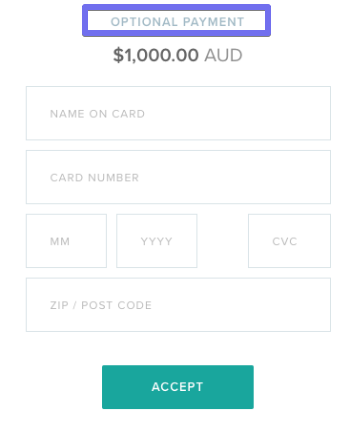 Toggling this switch allows your client to choose if they want to pay via Stripe or with another method. 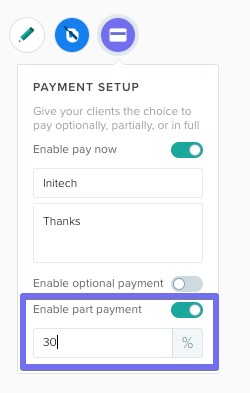 Enable part payment: This setting allows you to designate a percentage amount of the full total that is required for payment, instead of the full amount. This is useful if, for example, you only intend to collect a deposit when the Qwilr Page is accepted. 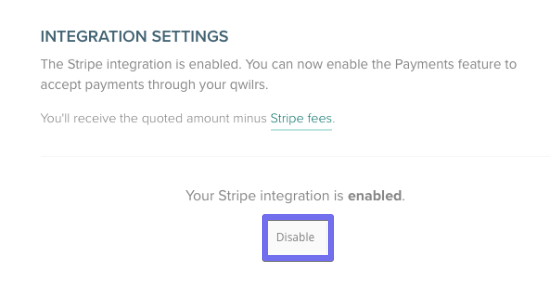 You can disable your integration with Stripe at any time by going into the Stripe integration settings in Qwilr and clicking the 'Disable' button.